2 pills, twice a day? 1) It promotes healthy blood sugar and insulin levels, which makes burning fat much easier. 2) It increases satiety – which means when you do eat, you feel full longer. 3) It decreases appetite so you eat less. 4) It increases energy levels so you can do more. 5) It improves mood, thereby reducing emotional eating. 6) It reduces food cravings, particularly for junk and carbohydrates. This allows you to have more control over your choices. 7) It enhances your metabolism so you burn more fat and burn it more efficiently. 1. Green Coffee Bean, aka. Cholorogenic Acid – essentially retrains your body to more effectively seek out and utilize body white adipose tissue (the undesirable type of fat) stores for energy. It helps regulate blood sugar, lowers high blood pressure, decelerates the aging process, improves brain function and mental clarity. It also contributes to overall healthier blood chemistry. When blood chemistry is improved, virtually every major system and organ in the body benefits. Raspberry ketones are an enzyme extracted from raspberries. This enzyme increases the production of the protein hormone adinopectin. This hormone controls metabolic deviations that could lead to weight gain. When used alone as a weight loss supplement, it has not been shown to be very effective. It is usually combined with stimulants. 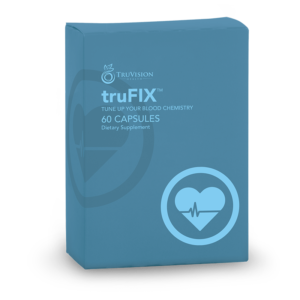 It is included in TruFix as a complimentary ingredient for metabolism regulation and also for its significant antioxidant benefit. It may also help prevent the buildup of plaque in the arterial walls and may reduce the risk of liver cancer. Cinnamon bark extract contains the specific polyphenols responsible for the many health benefits of cinnamon. These benefits include blood sugar management, subtle weight loss benefits, deceleration of the aging process, enhanced lean body mass, lowering of high blood pressure and absorption and utilization of antioxidants. Alpha Lipoic Acid (ALA) is a beneficial fatty acid that is produced in every cell of the body. One of its principle functions is to help convert glucose (blood sugar) into energy. It is also a powerful antioxidant that neutralizes potentially harmful molecules called free radicals. Free radicals have been linked to cancer, accelerated aging and many other debilitating and potentially terminal conditions. Studies have shown that ALA can also help with high blood pressure, diabetes, impaired brain function, degenerative diseases, some forms of neuropathy, high cholesterol, cardiovascular disease, some forms of cancer, arthritis and other inflammatory conditions and many degenerative diseases. Zinc is an essential trace element. It boosts the immune system, helps prevent diseases of the eyes and can help tinnitus (ringing in the ears). It also may help individuals with ADHD, osteoporosis and prostate issues. Some athletes use zinc to enhance athletic performance and strength. Copper helps the body produce red blood cells thus avoiding anemic conditions. When taken with zinc and magnesium it can also help prevent calcium loss, especially in women during menopause. It may also assist in wound healing and alleviation of arthritic symptoms. Chromium polynicotinate – Chromium is known to help regulate glucose and assist the metabolism of glucose on a cellular lever the supplies the body with energy. It is also reported to slow the loss of calcium, help prevent glaucoma and regulate cholesterol. Low chromium levels may contribute to coronary artery disease. Chromium also assists the body in building lean muscle tissue while assisting the body in white adipose tissue. Selenium is a powerful antioxidant. It is often used in formulas to fight cancer, heart disease and aging. It has also been used to fight viral infections. Vanadium Chelate – Helps improve the efficacy of the body’s naturally produced insulin. Insulin helps regulate glucose (blood sugar) and neutralizes blood sugar spikes. Magnesium oxide – can help prevent calcium loss when taken with Copper and Zinc. It is also an effective preventative supplement as it is a required nutrient for over 200 different biochemical reactions within the body. In fact, magnesium deficiency is exceedingly prevalent and it has been estimated that as much as 80% of the population has insufficient stores of this nutrient. Inactive ingredients include: Gelatin capsule, cellulose, stearic acid, silicon dioxide, titanium dioxide, erythroinse, color. Green Tea – Green Tea EGCG Extract: Green tea enriched in Epigallocatechin gallate (EGCG) shows significant results in helping individuals maintain their weight. Green tea has long shown promise in helping individuals maintain a healthy weight, after significant green tea research it is now believed that the EGCG compound is what contributed to the reduction in weight. There are three hypothesis on how Green Tea EGCG helps in promoting a healthy weight: 1) Increase blood flow – By increasing the blood flow throughout the body, there is increased oxygenation to muscles and thereby increasing caloric demands; 2) When combined with a nominal amount of caffeine allow for increased fat oxidation (Dulloo et al, 1999); and 3) modulating insulin effect – Regulating the signaling of insulin in response to carbohydrate consumption allows one to not be as susceptible to blood sugar spiking (Li et al, 2006). Green Tea is also a rich source of anti-oxidants. Cocoa Powder – Rich in antioxidants, vitamins, and compounds such as theobromine, which support positive mood and enhanced feeling of fullness, Cocoa powder has been used for weight loss primarily because it enhances fat metabolism and suppresses appetite. Its action in helping to raise serotonin levels helps to increase satiety (our feelings of feeling satisfied when we eat)and reduces the risk of emotional eating. Octodrine – Is a relatively new ingredient in the weight loss realm. It has stimulant properties, and is believed to increase energy levels, act as a mild bronchodilator and decongestant ( making it easier to breathe and get oxygen to needed tissues), enhances focus and concentration, and acts as a relatively strong appetite suppressant. In addition, it is believed to function as a monoamine releasing agent – which means it has the potential to release monoamines like noradrenaline and dopamine, which in turn can make you more motivated to work out and increase your activity level. Caffeine: -This formula does contain a small amount of Caffeine. The use of caffeine in moderation and in the right application (i.e. the caffeine contained in headache tablets), has a positive effect on one’s body. This formula does not contain a sufficient amount of caffeine to cause addiction or withdrawal symptoms. Just enough is used to act as a catalyst in activating other key ingredients in the formula. Theacrine – is a natural plant extract which structurally resembles caffeine but appears to have fewer side effects, making it known as an acceptable alternative to caffeine. It is noted to increase energy levels, and has stimulatory effects. It may boost physical activity, motivation, concentration, and levels of alertness. Anecdotal reports suggest it may be useful in reducing fatigue, and have anti-aging and immune boosting properties. Evodiamine – An Asian plant extract that has been demonstrated in laboratory studies to reduce both fat uptake, act as a thermogenic, and stimulate metabolism. It has been associated with a healthy DaVinci reflex. Ferrous fumarate — Is an essential mineral which supplies iron to the body. Iron supplementation has been shown to support healthy red blood cells and oxygen delivery, thereby increasing energy levels. Please note that only a very small amount of Ferrous fumarate is present in the formula. Vitamin B6 – B-6 helps metabolize fat and is a natural diuretic which helps the body avoid water retention. B-6 also helps maintain blood sugar in a normal range. It can also have a healthful stimulating effect on the thyroid. It is a water soluble vitamin that functions as a co-enzyme, essential in the breakdown and utilization of carbohydrates and proteins. It also aids in the repair of tissue and cells. BioPerine – (Black Pepper extract)Peperine, the active ingredient in black pepper, has been patent proven to enhance the absorption of molecules into the body(Majeed et al., 1996). This is critical since many compounds are prematurely metabolized into inactive forms through oral ingestion. Black pepper extract thereby stimulates the active absorption of these compounds into the body allowing for enhanced and sustained effects of the active ingredients. Furthermore, piperine, has been shown to act as a fat burner similar to capsaicin by increasing basal metabolic rates(Diepvens et al., 2007; Hursel and Westerterp-Plantenga, 2010). Dendrobium – Dendrobium is one of fifty of fundamental herbs in traditional medicine. It is found in certain species of the Orchid family. The complexity of the plant is largely attributed to its unique profile of alkaloids, such as: Dendrine, Nobiline, Nobilonine, etc (Dr. Duke Phytochemical Database). Extracts enriched in dendrobium alkaloids show many beneficial effects, including: increased focus, enhanced confidence, and increased energy. 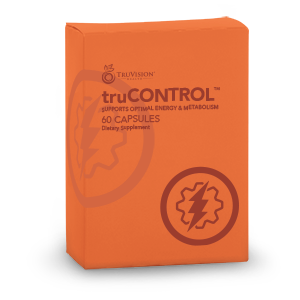 Unlike other stimulants these effects are not typically seen with an increase in blood pressure. Because of dendrobium’s unique properties it is considered to be highly effective when coupled with other stimulants and/or nominal amounts of caffeine in helping individuals obtain their weight loss goals. Yohimbine HCl – is a herbal extract used to provide energy. It is also been demonstrated to support vascular health and circulation. Inactive ingredients include: Microcrystalline cellulose, Magnesium stearate, Flo-Guard, Embo Cap R (contains riboflavin for color). Those ingredients pack a lot of punch! You can see why we are so excited about this formula, and you can see why it helps so many people achieve better health – because it is working on so many different levels! 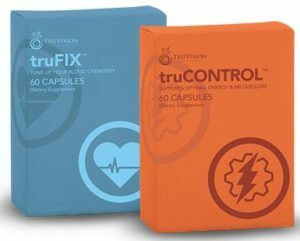 Having read all of this, if you are interested in trying TRU, please visit my online store https://squareup.com/market/dr-miranda-jorgenson where you can purchase a 7 day trial pack or a 1 month supply of the TRU Combo and see for yourself all that it can do. © 2017 MIRANDA JORGENSON, ALL RIGHTS RESERVED. No part of the materials available through www.MirandaJorgenson.com may be copied, photocopied, reproduced, translated or reduced to any electronic medium or machine-readable form, in whole or in part, without prior written consent of Dr. Miranda Jorgenson. Any other reproduction in any form without the permission of Dr. Miranda Jorgenson is prohibited. All materials contained on this site are protected by United States copyright law and may not be reproduced, distributed, transmitted, displayed, published or broadcast without the prior written permission of Dr. Miranda Jorgenson. A special note for TruVision Associates – reproducing any of this material constitutes theft. You are welcome to share the web address in its entirety, but copying material is prohibited by law.